Woodgate Local Publications . 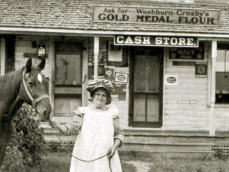 . .
Louisa C. Kronmiller - an "old maid" as she thought of herself - opened the store by the tracks across from White Lake Station in 1895 at the age of 39. Her path to such a business was an unusual one because she was a woman and because unlike nearly all women of the time she was an unmarried one. No pictures of the inside of the store exist to show what it was really like. But many invoices from wholesalers in Utica, primarily, but also from as far away as New York City, Boston, and Chicago tell of many of the things that were sold there. And photos of some of the items sold, advertising for such goods, and store furnishings capture a feeling for what the store may have been like. 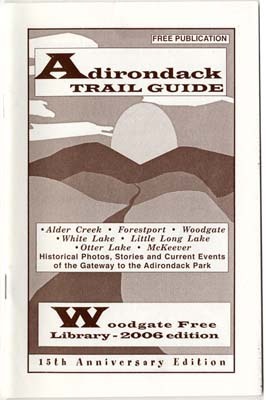 Historical photos, stories and current events of the Gateway to the Adirondack Park. This book contains many of the details in my earlier book Adirondack Borderland: A Woodgate N.Y. Legacy From the 1800s (self- published, 2001). But since then, I have been able to uncover some additional details and in this book, I hope, link earlier and new details more clearly to the larger history of the Erie Canal. 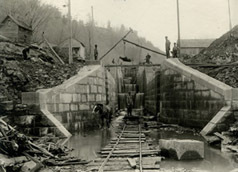 The Erie Canal would not have worked without water from the Black River Canal and from the little canal that fed water to the Black River and Erie canals starting at Forestport and running to Boonville. Further, our Woodgate legacy would not exist for my family to enjoy today without the canals that drew ancestors to the area in the first place. This history is written to show that Forestport has not always been the quiet summer resort that it is today. By tracing the events since its founding in 1840 this paper shows Forestport as a small settlement in the wilderness, as a booming mill and lumbering town and finally as the town it is today. The history of the Utleys can be traced back to England during the 1300s. The name of the Town of Utley even appears in the Domesday Book of 1086 under various spellings. 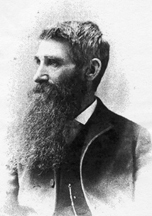 Also includes information on the Howes, Bents and Walkers who married into the Utley family.